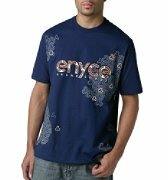 The Enyce fashion clothing line is an American hip hop fashion label owned by Liz Claiborne Incorporated. 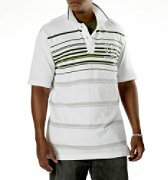 The label was established in New York City in March of 1996 by Evan Davis, Lando Felix and Tony Shellman. The three co-founders of Enyce had originally met while working for Seattle-based clothing brand International News. The Enyce line is pronounced as En-E-Che. 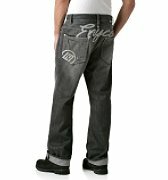 However, the term enyce originated as slang, pronounced En-Why-See. The name is a play on NYC (New York City) where Enyce derives its roots. 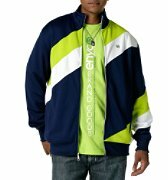 With the growing success of the clothing line, the Liz Claiborne Incorporated have decided to expand Enyce and made several new apparels such as lady Enyce, Eno, Lady Eno, Eno kids, Eno seniors and Eno mako. Enyce is on the move to a new look and P. Diddy is adding another notch to his belt. The hip-hop mogul and his partners purchased clothing company Enyce for 20-million dollars. 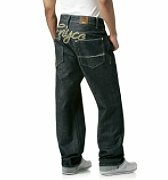 The deal is a bargain for Diddy, especially since seller Liz Claiborne had initially paid 114 million for Enyce in 2003.